It’s Giveaway Monday again here at Color Transformed Family! This week we are partnering with Kallie from Lilla and Rose. 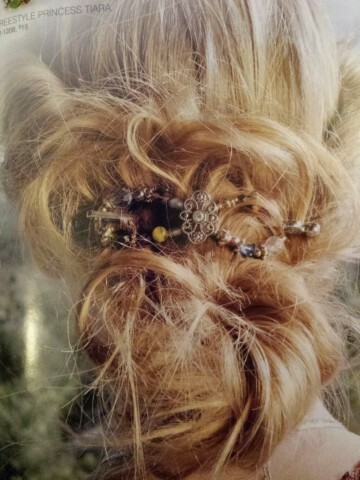 Lilla and Rose specializes in high quality hair accessories. Kallie sent Noah and I each a Flexi Clip to test out. We have been wearing ours for a few weeks now and love them! The Flexi clips are incredibly easy to use… which is perfect for Noah because she won’t sit still long enough for me to even begin to wrap a pony tail holder around her hair more than once. I love them because they were a welcome alternative to the same boring plastic claw clips I had been using since high school. Who else still has those? If you follow me on Instagram you may remember I posted when I posted this picture a few weeks ago. 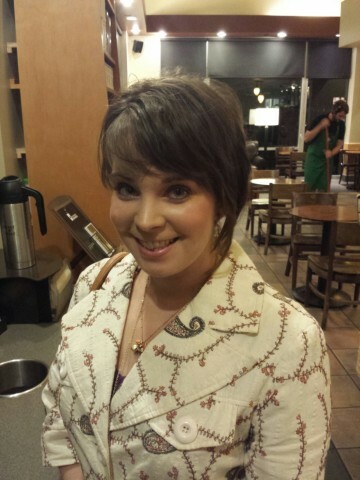 ML and I had a mini-date night. I decided to spice things up a little and pull my hair back. A rare occasion for me. I used the extra small Flexi Clip to hold a simple twist on the back of my head. It lasted through the night without any problems. I loved how easy it was to use. 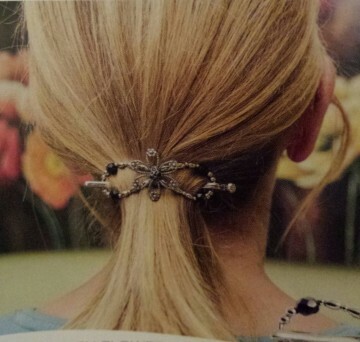 The beautiful clip was like a little piece of jewelry for my hair! 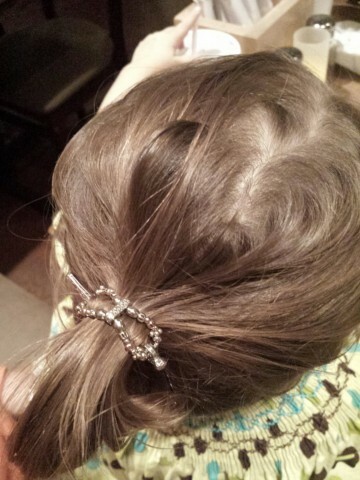 I have used it several times since then and have even borrowed Noah’s mini Flexi Clip to do a simple half twist. Flexi Hair Clips are available in seven different sizes to accommodate every type of hair and style. Noah has loved wearing her clip also. She requests for me to pull her hair back when she sees me using mine. I have pulled her back in a low pony tail, twist, and a high pony tail. Below is a profile picture of the high pony tail. And an overhead view of the clip. So how does it work? The clip is all one piece. 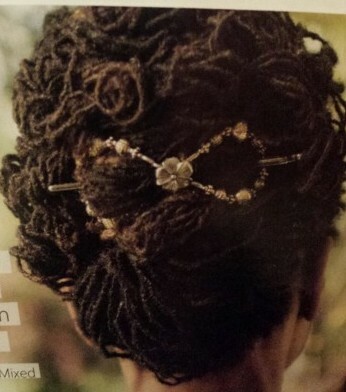 The beads are strung on piano wire which gives them the ability to “flex” The pin slides through the wire, locks into one of three notched grooves, and holds the hair place. 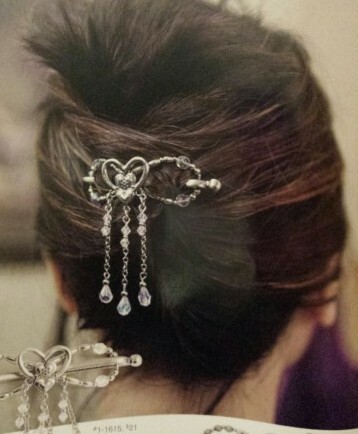 In addition to the Flexi Clip, Lilla and Rose also offer hair bands, hair sticks, You-Pins, bobby pins, and badge holders. I have really enjoyed using my Flexi Clip over the past couple of weeks and might have to splurge on another piece… because those hair bands are just too cute! Now for the exciting part. 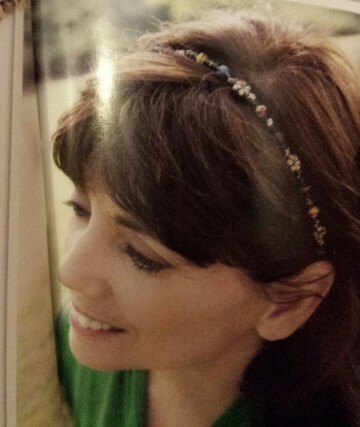 Kallie is offering one reader a Flexi-Clip of their choice up to $16! Isn’t this exciting? So check out the Rafflecopter widget below for all the ways to enter the giveaway. Rules: Entrants must be a new to LIlla and Rose. Disclaimer: I received two Flexi Clips to write this review but all opinions are my own. 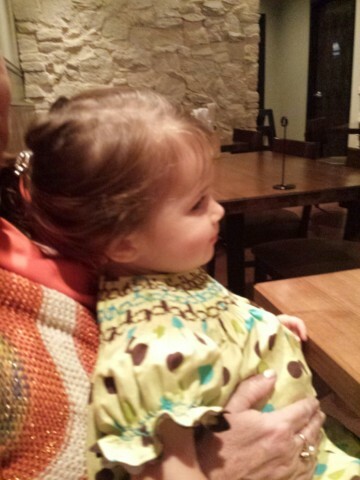 This entry was posted in Giveaways and tagged #giveaway #lillaandrose on 11/04/2013 by Krystle. I’m intrigued by the flexiclip. I may need to try that! I think you would love one. I meant to show it to you at the game the other week. The best post is that there are videos on their website demonstrating several ways to wear them. I have wanted to try these for awhile but haven’t bought one yet. They really are easy to use. I feel like mine will last for a while too because of how well it it’s made. I love the clips and would love to win one. Awesome giveaway Krystle. I love how cute Noah’s was! !